Have you ever wished for a hair brush that magically transforms frizzy, tangled hair to a more smoother and straightened look? Well, if you did, then the Coriolis Travel Mini Hot Brush is just what you've always wished for that features a compact, take-it-anywhere design. 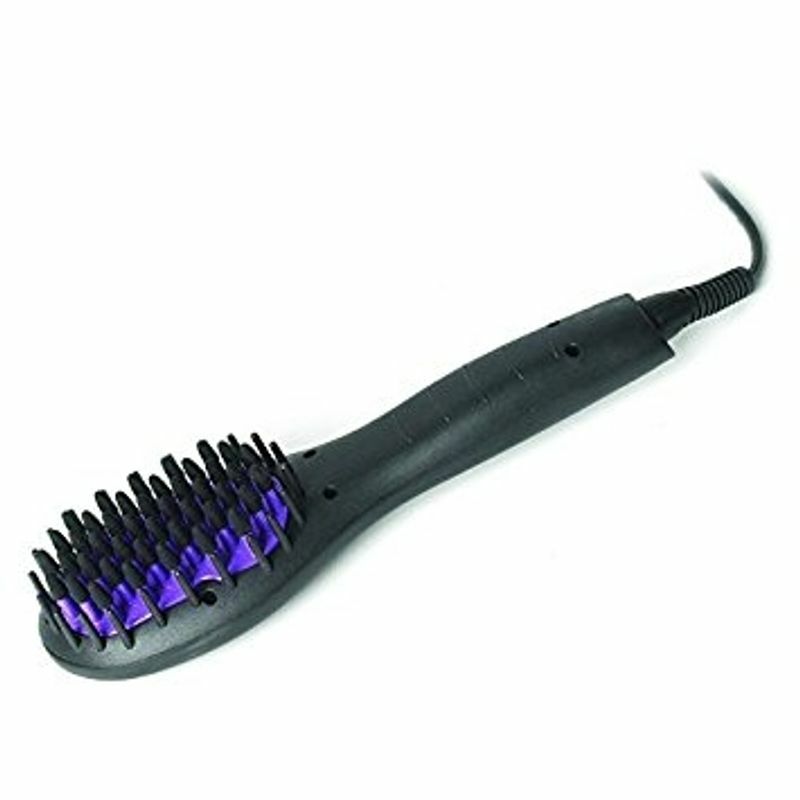 Equipped with gently massaging and heat protective bristles, this mini version of the Coriolis Travel Hot Brush will effortlessly glide through strands while detangling and straightening hair all in one go. It's anti-static construction keeps hair frizz free, thereby giving you smoother, silkier hair like never before. Developed with a fast heat up time that maintains a constant and consistent temperature of 180?C/ 350?F, this mini hot brush is a savior when you're running out of time. Pack includes: Hot Brush, Instruction Manual, Velvet storage and travel pouch & spare rubber bristle atttachments. Additional Information: Founded in 2002, Coriolis is a UK Based brand, worldwide known for their professional hair styling products and accessories that use the most advanced technology to give you the most innovative range of products.An independent company that focuses on customer's creative freedom, their product range includes the best of hair dryers, straighteners, hair curling irons, hair styling accessories and much more.You could manoeuvre a wide paddle brush through knotted strands while blasting them with heat to achieve silky, smooth hair or you could skip the struggle and use Coriolis Hot Brush 3 in 1 Digital Heat Brush instead.